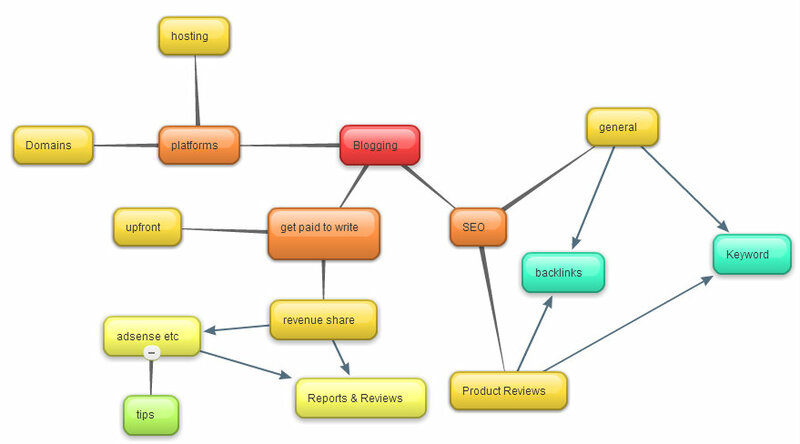 Bubbl.us is a popular web based mind mapping application offering both free as well as paid plans. You can use this very easy to use application to create clean and coherent mind maps such as the one shown along side (click image to enlarge). The best thing about creating mind maps with Bubbl.us is the speed and simplicity with which you can go about it. Signing up is super easy with the only requirements being a username, e-mail and password. And you don't even need to confirm your ID! You start with a tab. From this tab you can create any number of child tabs and from each child yet more child tabs to create a tree. You can also create more independent tabs and connect them through arrows. You can choose the color as well as the text size. You may also include links in the bubbles (tabs). A simple drag facility helps you to align the bubbles any which way you wish. You may also add labels to the lines joining the bubbles. Once your mind map is ready Bubbl.us allows you to export it either as an HTML embed code or a simple link to your mind map. You can also download the mind map as a .jpg file as I have done in the mind map above. Or else you can simply save the mind map in your bubbl.us account. Free account holders can save up to 3 mind maps but can create an unlimited number of mind maps. Premium accounts are priced at $6 per month or $59 a year.